Meet in Caio airport, transfer to hotel, check in & overnight in Cairo. Visit Giza Pyramids, Egyptian Museum, Old Cairo & overnight in Cairo. Visit Tel Basta, Belbeis, Virgin Mary's Tree, Saint George Church & overnight in Cairo. 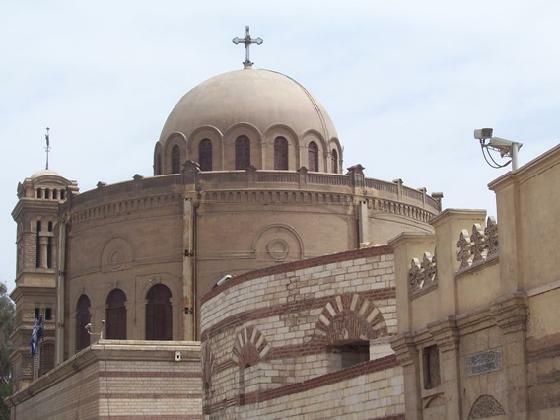 Visit Sakha, Virgin Mary Church, Samanoud, Saint Abanoub Chursh & overnight in Cairo. Visit Deir al Baramus, Deir Anba Bishoy, Abu Makar Monastery, Deir El-Suryani & overnight in Cairo. Visit the Hanging Church, St. Sergius, Fortress of Babylon in Old Cairo, Holy well, Holly Marry tree at Matariya & overnight in Cairo. Check out then transfer to El Minya. Visit Gabal Al Teir & overnight in Minya. Visit The White Monastery, move to the Monastery of Al Muharraq in Assiut, Danadara Temple in Qena & overnight in Luxor. Visit the High Dam, Unfinished Obelisk and Philae Temple.Felucca Ride to see The Botanical Garden and Agha Khan Mausoleum (FROM THE NILE NO ENTRY). Overnight in Aswan. Disembark, free time to visit Abu Simbel then evening train to Cairo. Arrive Cairo, transfer to hotel. Time for optional activity & overnight in Cairo. Check out after breakfast then transfer to Cairo airport for the flight back home. 1 night in Minya including bed and breakfast.